Opening May 11, the cultural initiative’s third exhibition is dedicated to the work of the Polish painter, sculptor and graphic designer, Stefan Krygier (1923–1997). Green Point Projects, a new cultural initiative in Brooklyn founded in April 2017 and located in a repurposed warehouse in an industrial part of Greenpoint close to Boiler / Pierogi and A/D/O, are pleased to announce The Pseudogroups of Stefan Krygier, an exhibition curated by Marek Bartelik. The third exhibition will gather together paintings, graphic works, sculptures and installations by Stefan Krygier (1923–1997). Throughout his career Krygier’s work evolved stylistically, from the early works inspired by cubism, constructivism and the legendary Polish Constructivist Wladyslaw Strzemiński’s unism and solarism to tachist paintings, to his mature kinetic special compositions and his late “simultaneous” paintings. This is the first major show of Stefan Krygier in this country. This exhibition will focus on two groups of Krygier’s works — sculptures, drawings and prints from the 1960s and paintings and installations 1970s. 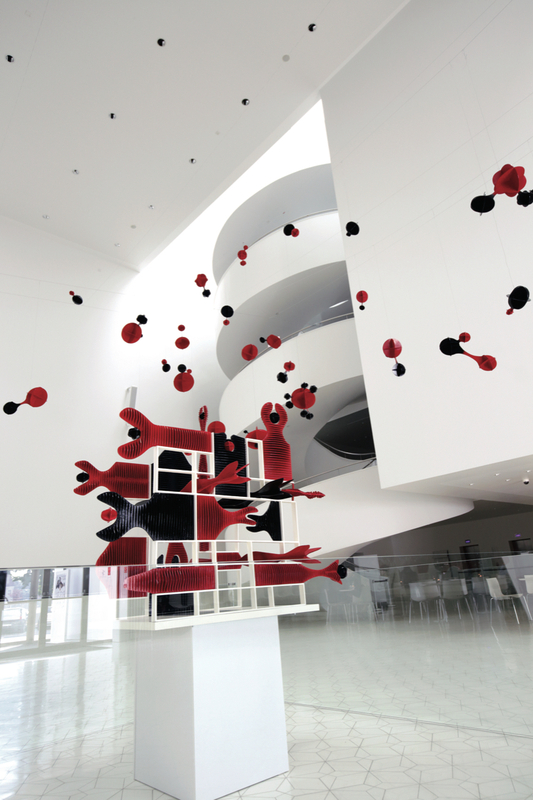 The former works were inspired by the artist’s visit to the Jewish cemetery in Prague, Czechoslovakia; the latter are geometric abstractions a large special installation entitled Center of Form’s Condensations, which fuse constructivism and surrealism in a highly original, whimsical fashion. The exhibition cast light on innovative aspects of Polish art, which in many ways overlapped with similar experiments with bridging art with science and technology in Western Europe and America. The show features a site-specific version of Center of Form’s Condensations, mid-1970s, specially configured for Green Point Projects. The exhibition is accompanied by a full-size catalogue, with a critical essay by Marek Bartelik and a personal reflection by the artist’s daughter, Monika Krygier.